It was amazing to witness our community come together the way it did on Saturday. Nearly 300 kids and teens from a variety of backgrounds ate hamburgers, hotdogs, popcorn, cotton candy and played their hearts out for 4 solid hours. Everywhere you looked you could see kids eating, playing, and the park was a sea of smiling faces. There were many volunteers working the various activities and events all the while letting all these kids know that we care about them. Not to mention the people, businesses, and churches who donated food, and the equipment needed to make our first Field Day a success. It is truly inspiring to see what can happen when people who care come together and make things happen. The best part this is……… only the beginning! 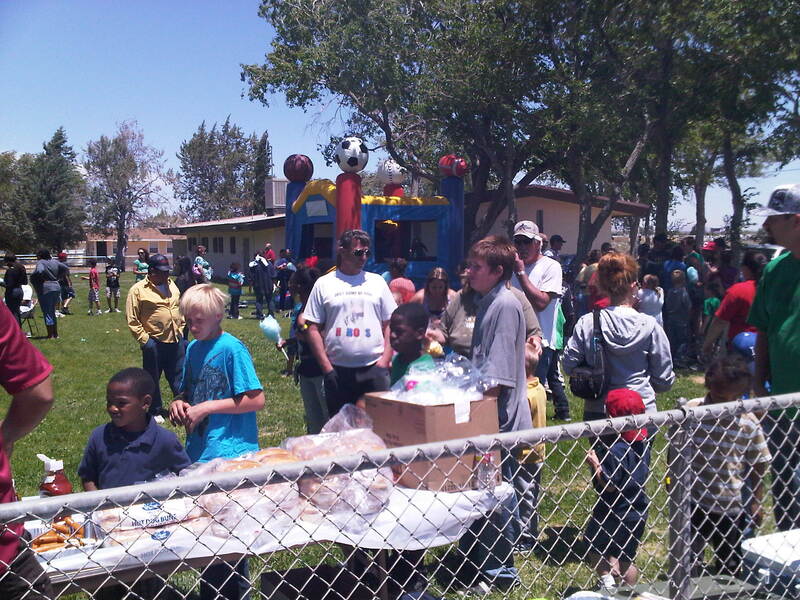 Boron Kids Outreach Program is committed investing in the Youth of Boron so there is more to come. To learn more about how to get involved call Mike at 760-373-0801. To get all the latest updates on activities and upcoming events subscribe to this website by clicking the button to the right that says “sign me up” and receive updates via e-mail. And please remember to share this page and all the updates via the social networks below! Thank you for all who volunteered and participated! Strong kids equal a strong community! BKOP FIELD DAY IS TODAY! 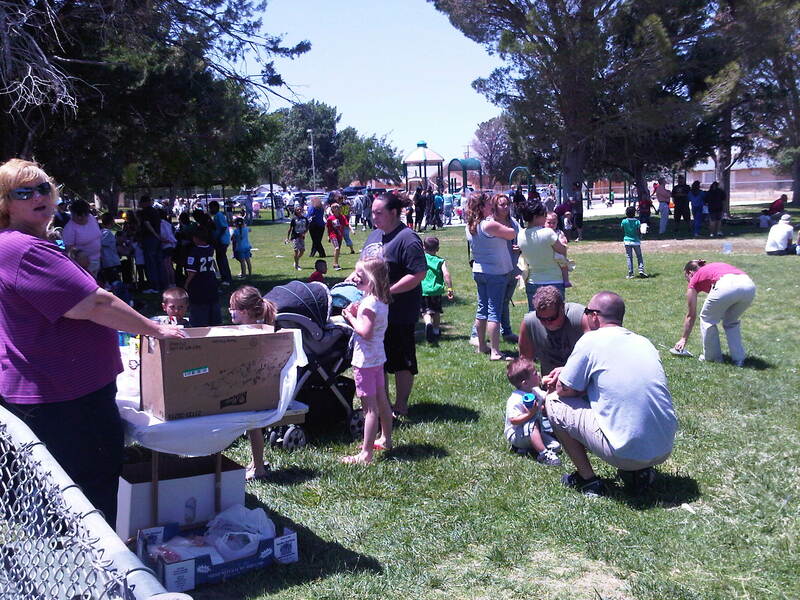 Join us at the Boron Park for free food, games and activities! All kids and teens ages 4-17 welcome! BKOP FIELD DAY IS TOMORROW! 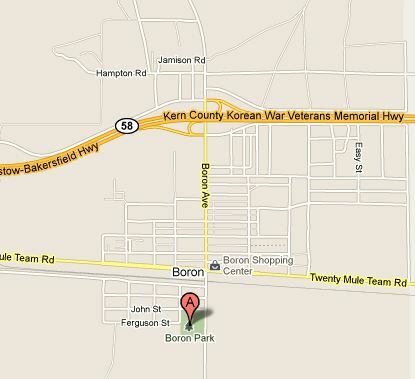 It all starts at 12pm at the Boron Park! BKOP FIELD DAY KICKS OFF IN 3 DAYS! Bring your kids, your grandkids, nieces, nephews, and neighbors kids to the Boron Park Saturday May 28th from 12pm to 4pm for a FREE fun day at the park. 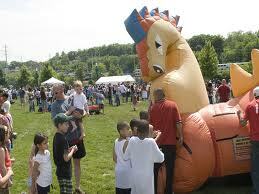 There will be games, activities and food for all kids and teens from ages 4-17. For more information call Mike at 760-373-0801. 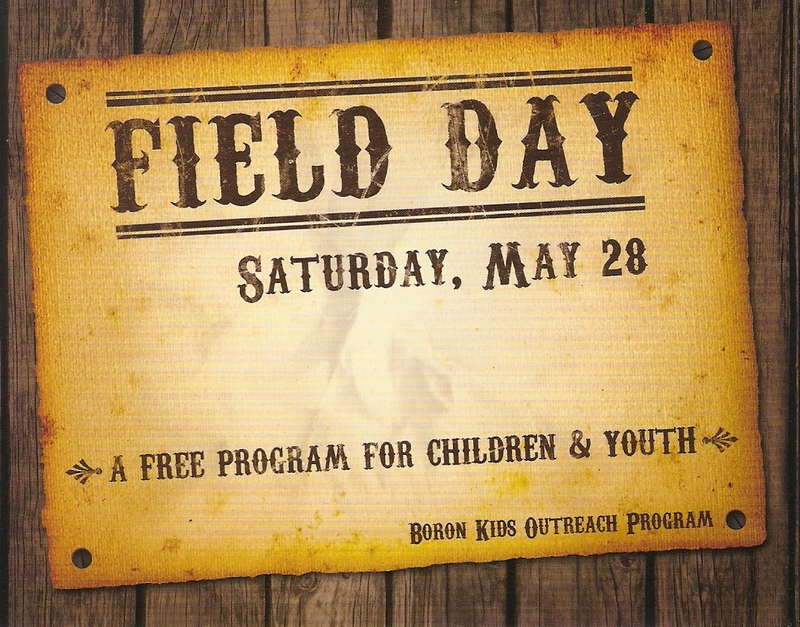 The Boron Kids Outreach Program (BKOP) is hosting a “FIELD DAY” for all of the kids and teens in the Boron Area on May 28, 2011 12pm-4pm. There will be games and activities and free food for all kids from ages 3-17. All kids and teens from the Boron Area welcome! BKOP would like to thank the people who generously donated the food this event. We still need volunteers to work the event. Please call Mike at 760-373-0801 for more info. Only 13 Days to the BKOP FIELD DAY!